Meyer offers more than 10 different configurations in our MDV line-up. All hoppers are made of stainless steel while power can be supplied via central hydraulics, gasoline motors or 12-volt electric motors. 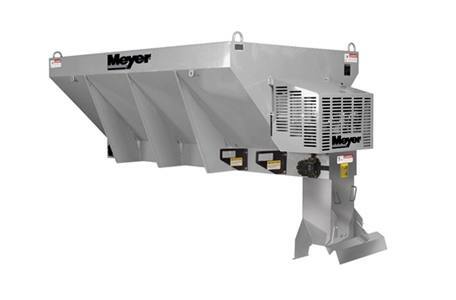 You also have a choice of drag chain or auger conveyer systems. See specification for details. Ease of Use: Respond to an ice event at a moment's notice: Meyer's MDV operating system is fully controlled from the comfort of your vehicle's cabin. 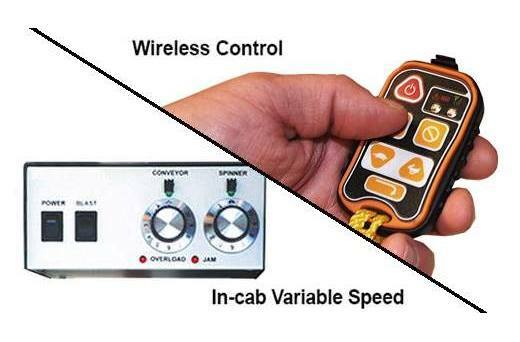 Meyer's gas-driven MDV comes standard with wireless controls which means no wires need to run under your vehicle. All you have to do is load the spreader into your truck bed, and you're ready to start spreading with your hand-held controller. 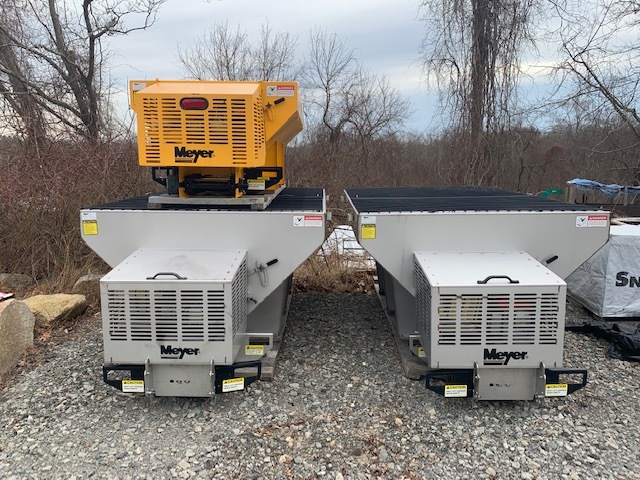 On electric-driven models, you can use an in-cab variable speed controller with blast feature to adjust the conveyer and the spinner.